Europe, Asia Pacific, ROW. • By Country - U.S, Canada, U.K, Germany, France, India, China, Japan. U.S, Canada, U.K, Germany,Italy, France, China,India, Japan. Table of Content S.No 7. Table of Content S.No 9. Table of Content S.No 13. List of Figures Figure No. Research Methodology For our study on Global Clinical Chemistry Analyzer Market, we have conducted comprehensive secondary research followed by an extensive primary research. scrutinized industry documents, accessed from open sources, premium paid databases (Bloomberg, Thomson Reuters, Factiva) and our internal knowledge base. In the process of primary research, we have interviewed various industry experts across the value chain of the medical equipment and service industry. 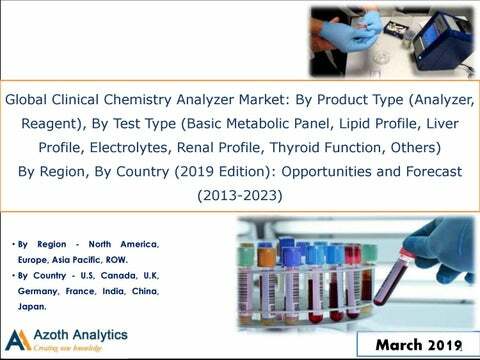 North America Clinical Chemistry Analyzer Market Overview Higher demand for quick diagnostic results, growing Point of Care testing market, ageing population coupled with increasing out of pocket-healthcare expenditure impelled the growth of Clinical Chemistry Analyzer. 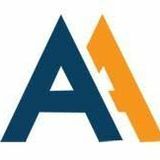 About Azoth Analytics Pvt Ltd.
Azoth Analytics is a business research and analytics firm that creates in-depth research reports and provides customized research solutions and consultancy services. Verticals in which Azoth Analytics specializes include healthcare and pharmaceutical, oil and gas, retail, chemicals, automotive, FMCG, food & beverages and technology. Azoth creates comprehensive and in-depth research reports by recording, interpreting and analyzing information. Strategic market sizing and data dredging techniques include secondary research, and primary research (interviews with management personnel and industry experts). any incorrect information supplied to us by industry experts, manufacturers or users. Azoth does not warranty the completeness of the information and data. Also, analysis provided in the report are meant for customersâ&#x20AC;&#x2122; internal use only and not for general publication or disclosure to third parties.